The scenery combines rugged vistas and rustic tranquillity with the Ouvane River gently meandering to nearby Bantry Bay. Carriganass Castle perched dramatically over a waterfall is a short stroll from the village. This impressive ruin of an O’Sullivan Beara stronghold evokes images of a Gaelic aristocracy in decline and has strong historical associations with the Battle of Kinsale, the retreat to Leitrim, and the flight of the Earls. There is an abundance of historic jewels in the area. Kealkill Stone Circle and the Stone Row at Tooreen Lake are well worth a visit. 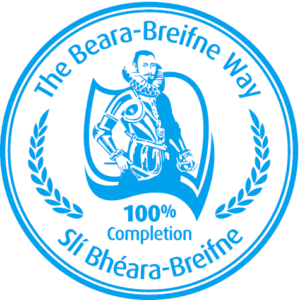 Don’t miss fine examples of local basketry craft at Maughanasilly, candle making at Derryfada and traditional woodcraft at Maulavaning and Cappabue. There is a wealth of activities for visitors to the area, from walking the to the high peak at Knockboy to cycling on the delightful network of minor roads. Salmon and trout fishing is a must and wildlife enthusiasts can visit the castle roost of one of the biggest Dubenton bat colonies in Ireland. At weekends, the visitor can watch local stalwarts road-bowling. 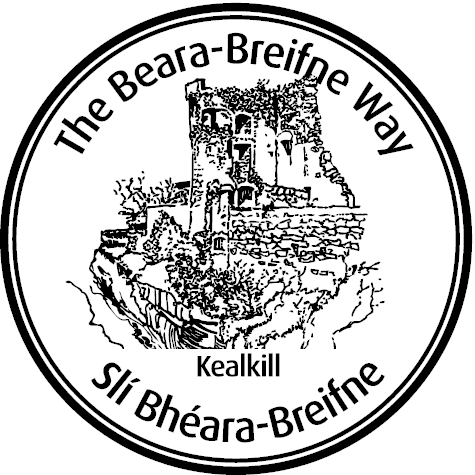 Kealkill is part of the ancestral home of the O’Sullivans in Ireland and forms a stage of the Beara-Breifne Way which is based on the historic march of O’Sullivan Beara in 1603.